Here at Vearsa we like to keep our finger on the pulse of the eBook world and right now it is pretty healthy. A look at Quarter 1 earnings for publishers on our eBook platform shows that those with us more than 18 months have seen a combined increase of 7% on last year. So where is this growth happening? There were several countries where our publishers saw significant growth but we’re going to focus on a handful of interesting ones. 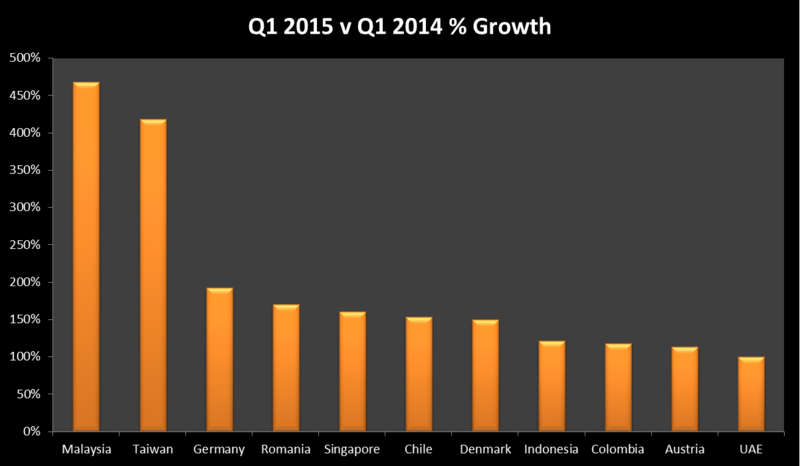 The bar chart shows the year-on-year percentage growth for Q1 earnings. Market sizes vary greatly but for now the measure of interest is growth rate. 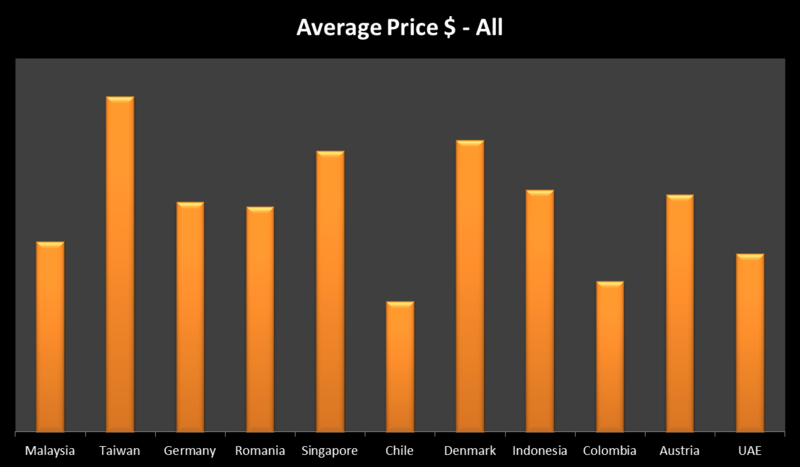 Analyzing the average selling price in dollars also gives us some interesting comparisons. When we look at overall averages we can see quite a disparity between countries. It is good to keep this type of profile in mind when setting prices for promotional activities that are country specific. For example, in relative terms it looks like an eBook buyer in Denmark is willing to pay more than a South American reader. Things are even more interesting when we get genre specific. Fiction prices make the variances seen above even more pronounced while business books have a smoother profile across the various countries. This profile shows the premium most people are prepared to pay for books of a commercial nature (that and the fact they are usually charged to an expense account!). While there is no doubt that Fiction is the biggest seller in most countries, what about the best-selling type of Fiction? Of the eleven countries used in this review, seven of them had Fiction as their top-selling genre. 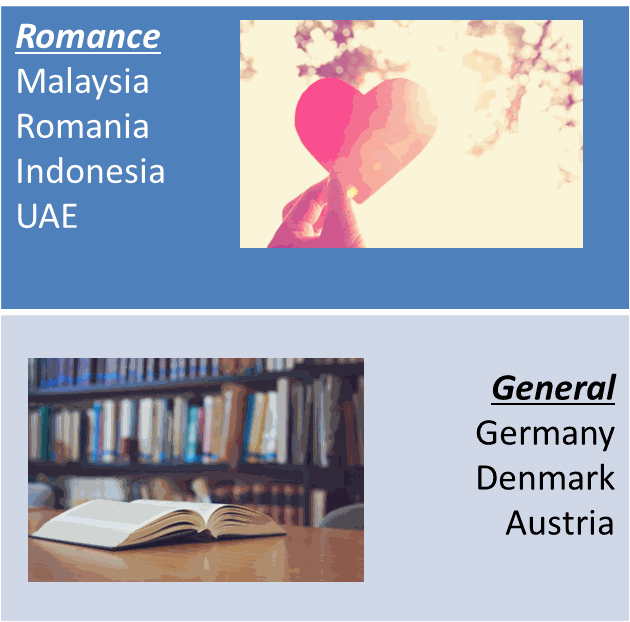 While some countries showed a preference for General Fiction, others showed a more romantic side. Meanwhile, Business & Economics ruled the roost in Singapore, Chile and Colombia, while Taiwanese readers had a preference for Science. 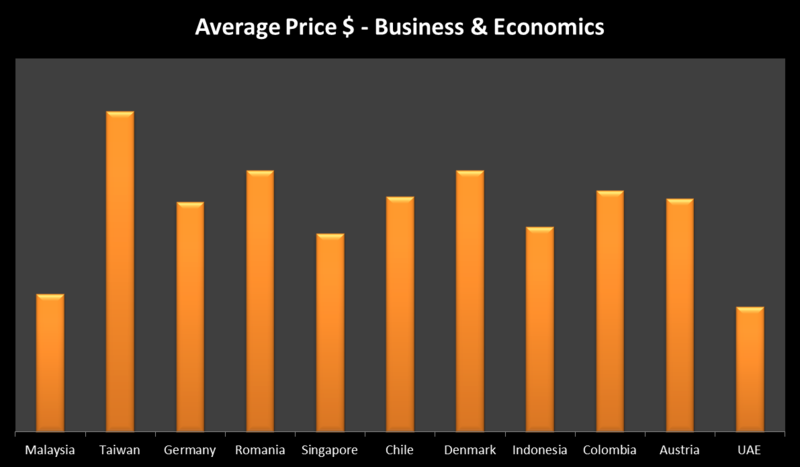 Another way to navigate through our country data is to look at relative prices across genres within each country. And even more interesting is to look at relative prices from, say, a European country like Denmark versus an Asian one like Singapore. The graph below shows that although their overall average eBook prices are quite similar, some of their genre-specific prices are quit disparate. For example the average price for Business & Economics books is 30% higher in Denmark, while Self-Help books sell for 30% more in Singapore. Cultures have an impact, and despite us living in a ‘Global Village’ for the past few decades there is a lot to be learned about country-specific eBook markets that can help publishers increase sales by regionalising their activity. Price and subject interest are two important factors, but there are more to explore and so navigation of our data is key.